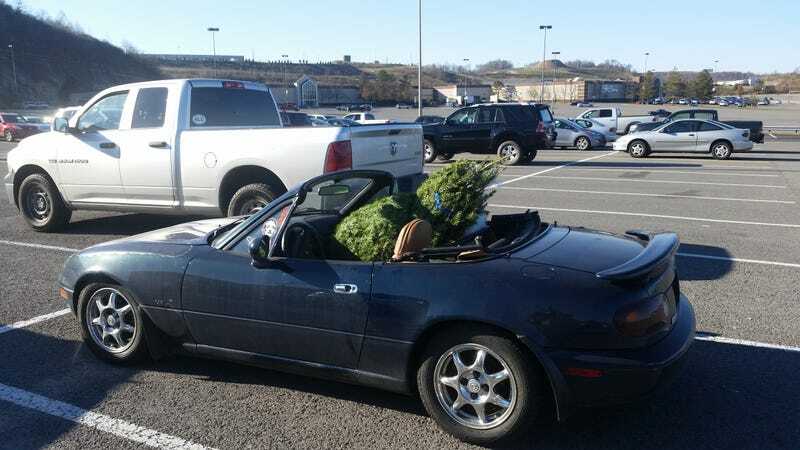 The 1994 Mazda Miata: Will it Christmas Tree? The answer is yes. Damn, sports cars are just so impractical. I don’t think this is better than when I had a keg in my front seat but its close.